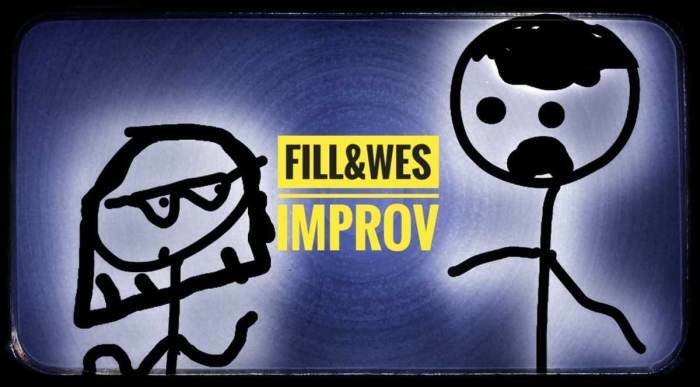 Fill & Wes, two improvisers from Albuquerque New Mexico have joined forces to bring you a 1 Night Only improv comedy show. Wesley Swedenburg was a key player of Comedy? For years. He can be seen in many UNM shorts. Sketch writer, musician, and actor, Wes has it all. Fill Jeantete has been doing improv with various groups around town for year's (The Commonwealth, fool's gold, Comedy?) And is currently a part of The Box's long form team, The B-Team. Both were founding members of the short-lived Improv group, The Arcade. After years of collaboration, the two have decided to bring you a show unlike any other in town.